Get a free pastry at Starbucks on the morning of March 23 with the purchase of a handcrafted beverage. 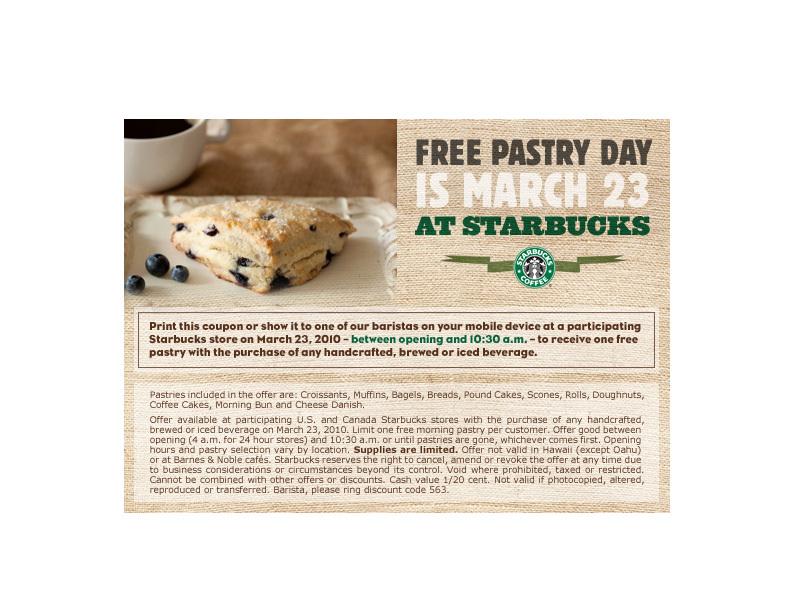 Come to participating Starbucks (maybe call first to make sure your local Starbucks is doing this deal) on Free Pastry Day, March 23. Choose a delicious pastry to pair with yourbeverage and that tasty item is free.